Lenovo has launched in London the third generation of its convertible Yoga computer. Tablet and laptop in a two-in-one that has earned the public of this category. This year it comes with new features very attractive inside and quite unique on the outside. This time Yoga concept not only rotates on a hinge but on a belt. 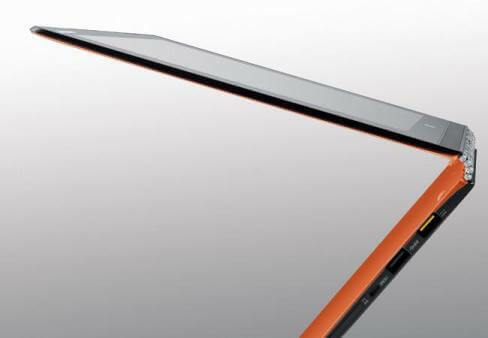 This original design, according to Lenovo more resistant, makes the Lenovo Yoga 3 Pro is thinner and lighter than previous models. On the outside we also find higher resolution because despite having a size of 13 inches has a qHD screen + Harmony technology to suit personal preferences. This new generation of Lenovo stays at 12.8mm thick with open computer. This year, it has lost weight to fit in 1.19 kilos. The most significant change is found outside the belt have to replace the conventional hinge. It consists of 800 pieces of steel and aluminum; it is a flexible and much tougher than the previous piece. Instead of having two hinge points, now have six. When we pass through our hands we will see if it is as hard as the Chinese manufacturer promises. Although changes the shape of the hinge, it still offering four modes: laptop, tablet, stand (for video playback) and what they refer to as store mode. The 13-inch touchscreen offers a qHD resolution + 3,200 x 1,800 pixels. Ahead its have Gorilla Glass to endure the bumps and scratches. The display is accompanied by the Harmony software to adjust the screen according to the use that we are giving. We can check this parameter for each application, something quite useful as it reminds us of the parameters and we don’t have to do it manually each time we opened. In the processor we find a Intel Core M processor, smaller chip and with better performance and we will see if Lenovo is benefiting from the listening system for the voice commands. The capacity will vary depending on the configuration we buy but can have up to 512GB SSD. The integrated graphics card (Intel Graphics) and RAM is also variable depending on the model. The battery is the same in all and promises up to 9 hours to 44Whr idling at 150 nits. In the audio section of Lenovo bets by JBL speakers with Waves Audio certification. That is, a system that adjusts audio depending on what we’re listening to. At first it seems that this section only works with a selection of applications, Lenovo does not specify which states that the list but rises to more than fifty.